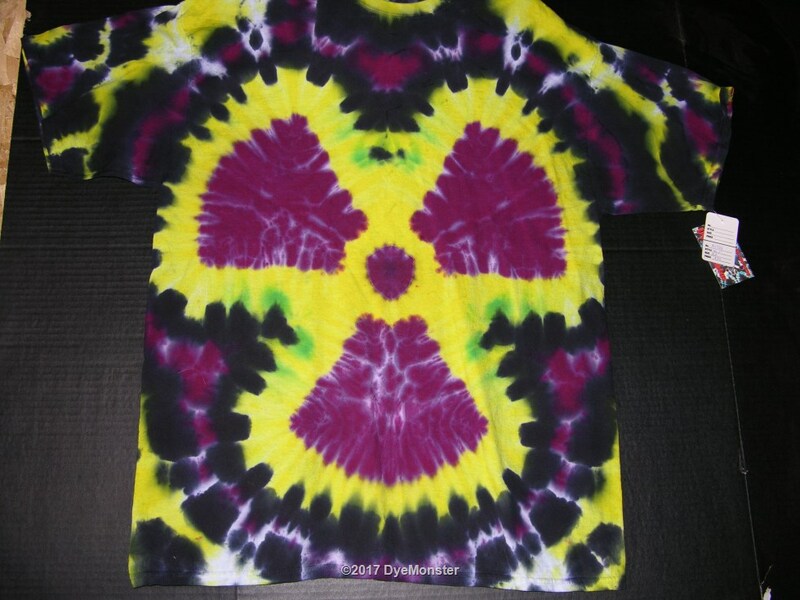 Extra Large Gildan Ultra 6.1oz PFD Cotton T-shirt folded and dyed by Greg Anderson of DyeMonster during 2017. The images are created through careful and precise folding and binding of the shirt which is then expertly-dyed with Procion-type fiber reactive dyes for permanence and brilliance. The shirt has been fully rinsed and is ready to proudly wear.